A West Ham Ladies' charity match at Upton Park on 5 June narrowly won a vote over whether it should take place. Out of nearly 12,000 fans, 52% were in favour and 48% against a game which would raise funds for the Ladies' team and a final decision will now be made. The match would be the final public game at Upton Park but some fans want the Premier League win over Manchester United to be the last at the stadium. The Hammers are moving to the Olympic Stadium after 112 years at Upton Park. 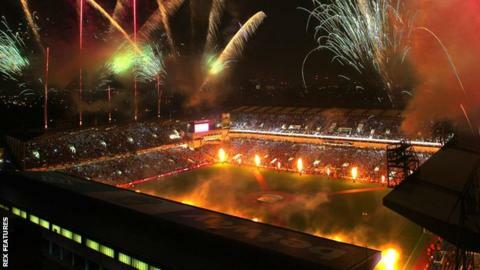 West Ham beat United 3-2 and then held a 45-minute celebration after full-time, involving fireworks and former players. Eastenders actor Danny-Boy Hatchard, who plays Lee Carter in the BBC One soap opera, is one of those backing the Ladies' game.